What is your option? camping pitch or accommodation! Discover our family pool, with jets and spa area. Come and let yourself be carried away by this unique natural environment! 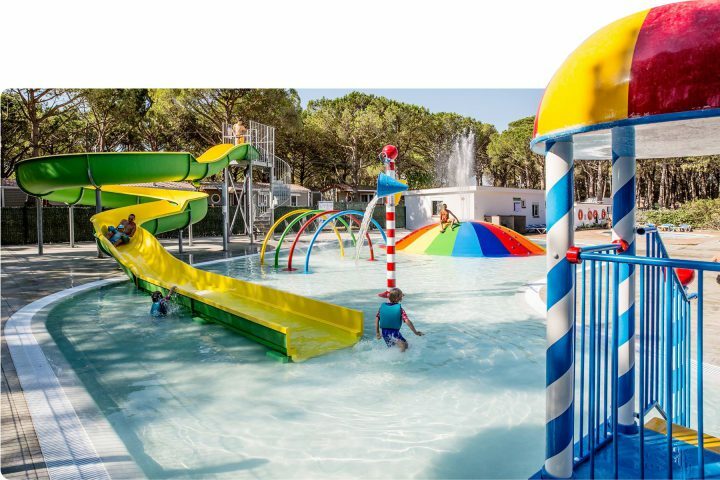 Camping Neptuno is a camping of 2nd category ***, run since 1966 by the Roig family. Located in a lush pine forest and only 1.50km from the beach of Pals. Very quiet camping, ideal for families with small children. And nature lovers. Our campsite boasts play areas for all ages. Children’s playgrounds, young people’s amenities, basketball courts, boules ocurts. etc. All designed for families to have fun together on holiday. In the months of July and August, we have an entertainment team and night shows. The campground has WiFi coverage.